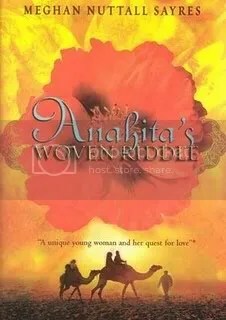 Reader’s Annotation: A nomadic weaver in the deserts of Persia, Anahita agrees to marry the man who correctly solves the riddle she has woven into her wedding carpet. Summary: In 19th century Persia, women marry according to their families’ wishes. Content with her weaving and hoping to apprentice herself to her tribe’s dyemaster, Anahita would rather not marry just yet. Striking an unusual compromise with her father, Farhad, Anahita agrees to weave a riddle into her wedding carpet and marry the man who solves the riddle. This arrangement causes tension within Anahita’s tribe, first among the conservative families who feel Anahita has over-stepped her place as a female, and then with the entire tribe when Anahita’s would-be husband (the Khan who represents the tribe to the shah’s government) angrily cuts off the tribe’s water supply, forcing a difficult migration for the nomadic shepherds. In the face of the tribe’s criticism, Anahita nearly quails, but impending battles for migratory rights force Anahita to look beyond her own future to that of the entire community. As the number of her suitors increases to include, among others, her childhood friend Dariyoush, her schoolteacher Reza, and the mysterious Arash, Anahita realizes not just her childhood but her entire way of life may be coming to an end. Notes: Filled with details of desert landscape and nomadic life, this story transports the reader to a seemingly mythical place. Though there are no flying carpets in Anahita’s world, her story has a magical quality. Reader’s Annotation: After years of being bullied, Tyler considers using violence to make himself heard. Summary: For years, Tyler has been relentlessly terrorized by Chip Milbury, the son of his father’s boss and the twin brother of his secret crush. When Tyler gets caught vandalizing his high school, he is sentenced to community service which he fulfills by working for the summer with the school janitorial staff. Rage has been slowly building within Tyler as a result of Chip’s bullying and his father’s constant pressure. 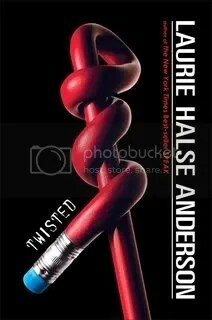 When Tyler is accused of circulating lewd pictures of his crush, he is tormented at school and threatened with military school by his father. How will Tyler cope? The reader goes inside the mind of a young man cornered as he contemplates a pistol and all his options. Is violence Tyler’s only way out? Who will be the victims? Notes: Tyler is an outstanding male protagonist from the author of Speak, offering a fresh, relevant perspective in a post-Columbine world. Summary: An unnamed girl who can only remember begging and scrounging and being tormented by villagers is taken in by a midwife. With only a cat for a companion, the girl works hard and slowly learns to observe the midwife in her tasks. Finally, the girl knows what she wants: a full belly, a contented heart, and a place in the world. All are within her reach if only she can overcome her own feelings of worthlessness. 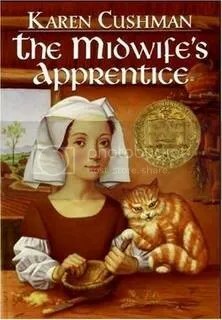 Notes: This Newberry Medal Book is a good read for the plucky protagonist as well as for the historical elements and the subject of midwifery. 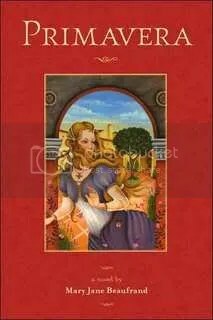 Summary: Scorned and neglected by her mother from infancy, young Flora Pazzi has grown up in the shadows of her family’s elegant palazzo. Nurtured by her remarkable Nonna, Flora observes the endless political intrigues of her family whose chief rivals for power in Florence are the formidable Medicis. When Flora and her friend Emilio become embroiled in the Pazzis’ latest sinister plot, Flora finds herself at a crossroads: warn the Medici and betray her family, or remain idle while her father orchestrates a massacre? Whatever she chooses, Flora knows the life she has led, however miserable, is about to end. Notes: Set in 1478, with Botticelli and the Pope figuring in the background, this exciting novel is a great introduction to the drama of Renaissance Italy. The historical elements are the strongest aspects of the book; the writing itself is fair. Would be enjoyed by middle school students reading Shakespeare for the first time. Reader’s Annotation: Australian-Palestinian teenager Amal decides to wear the hijab, or Muslim head scarf, full-time, a formidable challenge at her private school in a Melbourne suburb. 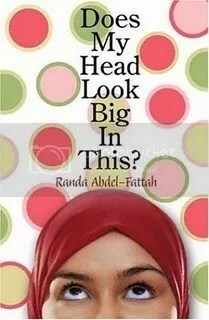 Summary: Sixteen-year-old Amal is intelligent, sarcastic, focused and loyal, and she needs to be all that and more when she decides to wear the hijab as a symbol of her commitment to her faith. With the support of her truest friends, Amal copes with the narrow-mindedness of classmates, the stress of preparing for exams, and the complexity of her relationship with crush-worthy Adam. Then Amal’s own convictions are tested when her best friend runs away from home and Amal must confront her own prejudices and ignorance. Notes: Amal’s wit, insight and self-awareness make her a role model for all time. This novel offers an engaging glimpse into a world seemingly different from—yet surprisingly similar to—that of most middle-class families. Comments Off on Does My Head Look Big in This? Summary: Jack grows up in the town of Yarrow with a gift for telling tales. As he gets older, Jack decides to leave home to seek a living as a storyteller. After a few tough scrapes, fate hands Jack a boon and he finds himself in the employ of King Alphonse. For a while, all seems to be going Jack’s way, but when King Alphonse dies suddenly and his immature, self-centered son Yoss ascends to the throne, Jack finds himself working as a propaganda machine for the new king’s reign. Though troubled, Jack lacks the conviction to act decisively against Yoss. With his family toiling unfairly under Yoss’s rule, and his love Stelinda held captive by his enemies, can Jack master his art in time to enlist the help he needs? 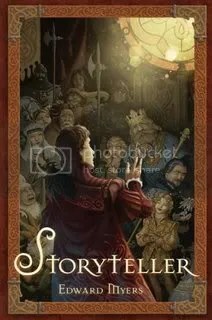 Notes: Stories within stories build upon one another to create a wonderful tale about the power of words. A terrific read that celebrates a fading art. Summary: Though the daughter of a knight, Bella is raised by a peasant family. Her foster parents, Martin and Beatrice, also care for the king’s fourth son Julian when he is a babe, so Bella’s favorite childhood playmate is none other than a prince. Unaware of her noble birth, Bella is happy and well loved in her humble home until her father remarries and summons his daughter to his estate. Bella’s stepmother, grieving for her first husband and the loss of her own estate, wants nothing to do with uncultured, uneducated Bella. Miserable, Bella takes to kitchen work and dreams of her former home. When she overhears a plot that threatens Prince Julian’s life, she embarks on a dangerous journey to warn him. But even if she reaches her destination in time, is anyone likely to take the word of a simple peasant girl? Notes: Fairy tale lovers will enjoy this re-imagining of Cinderella. 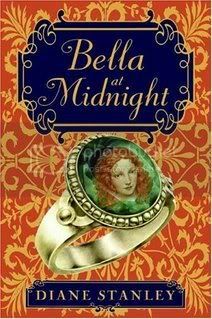 In alternating first person narrative, Bella at Midnight explores the point of view of the step-mother, step-sisters, godmother, and prince.